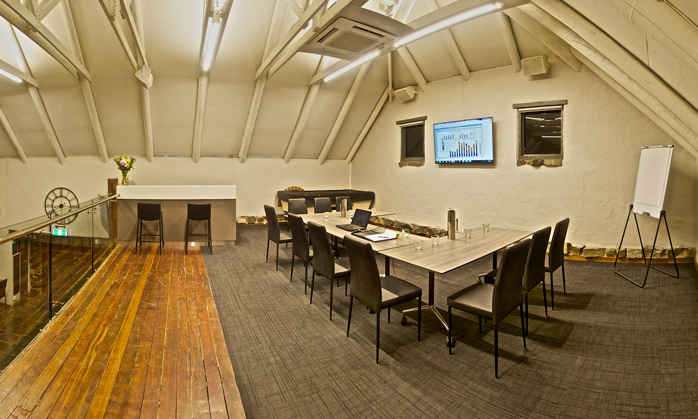 Perfectly suited to small private conferences, Lanzerac's Barn facilities and landscaped grounds can offer your business the opportunity to put together a memorable group stay and learning experience all in one venue. 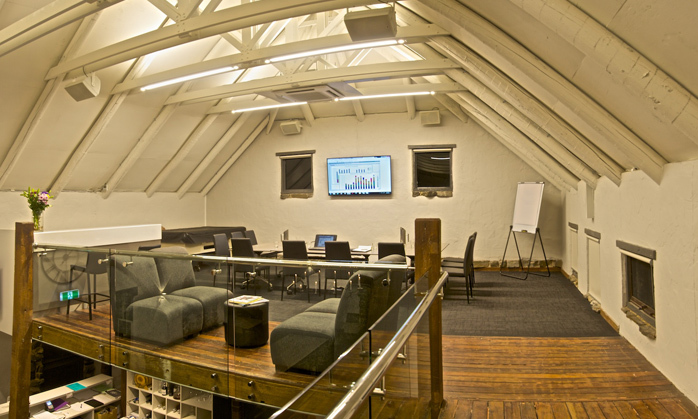 Our 'exclusive use' structure encompasses accommodation, conference room facilities and overall use of the property's many areas to create something tailor made to your needs. 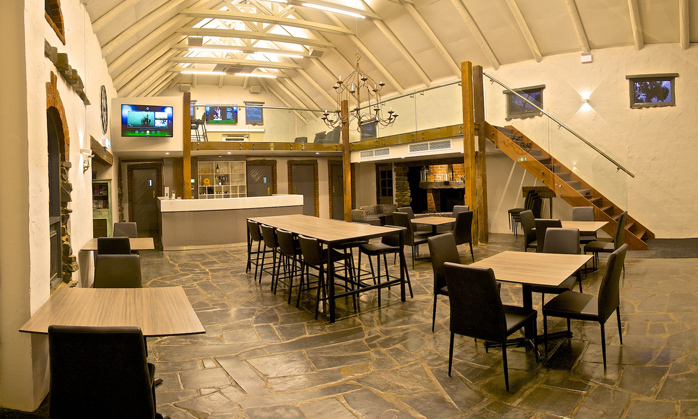 Our upstairs mezzanine level conference room located in the Barn is complete with 65" Smart TV, wifi or hardwired internet capabilities, surround sound (with wirless microphone if required) and programmable lighting. Utilise the downstairs area for morning tea, lunch, afternoon tea or after work drinks in a relaxed atmosphere complete with fireplace and more. 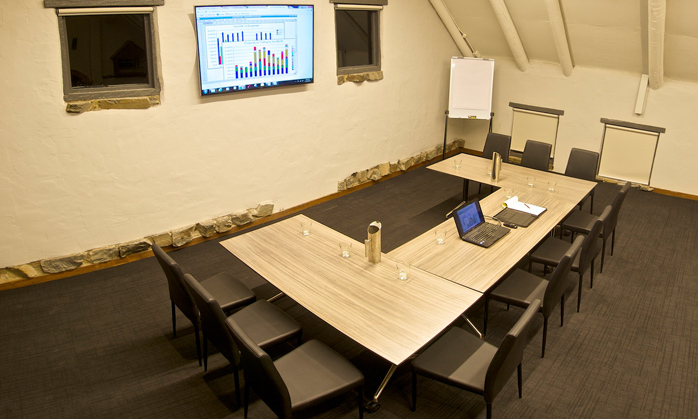 When booking Lanzerac for your conference you will have total exclusivity of our five accommodations suites and communal areas to ensure all activities undertaken are private. Quality home-made food options can be tailored to suit your tastes and budget as well as standard conference beverages available. You can also supply your own alcoholic beverages of choice to entertain the team after a hard day with at no corkage costs. For a flexible, intimate and high quality location perfect for senior management or ownership meetings, look no further than Lanzerac Country Estate. On behalf of Logic Finance we highly recommend Lanzerac as a venue to host business events such as conferences/retreats and personally as a stunning B&B destination. The team at Logic Finance were thoroughly impressed with the professionalism of Justin and Casey throughout our conference by providing a personalized service to each member of the team and as a whole group. Personally, I found the experience delightful and I appreciate the effort you make to build rapport and connection with your guests. You were always readily available to assist where required. The Barn has been beautifully finished, giving it a great atmosphere to both work and socialize in. 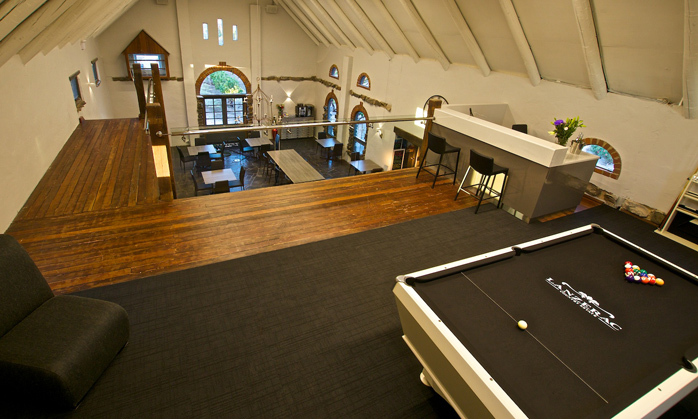 The renovations have created a great space which could be utilized for a range of functions. Thank you again, you have an amazing place there and I will highly recommend you for any future conferences for our business partners or personal stays! Lanzerac is not just a place, it’s a destination with a personal quality customer experience. Please submit your details in the form below and we will be in touch. Error: Please enter the correct numbers.